In another well-done study, in patients with atherosclerosis, platelet adhesion increased and Prostacyclin (PGI) biosynthesis [produced in endothelial tissue]... fell by a mean of 42 percent during the fish-oil period.... Synthesis of the platelet agonist Thromboxane A (TXA) [produced in the platelets] declined by 58 percent. Template bleeding times were significantly prolonged in all the patients. All of this is totally the wrong direction as atherosclerotic patients absolutely require less platelet adhesion and increased PGI output; and decreased TXA without adequate PGI output is insufficient to maintain healthy endothelial cells. If those markers aren’t enough, the overall effect from the fish oil was increased bleeding times, and absolutely no endothelial protection. (From Knapp, H, et al., “In vivo indexes of platelet and vascular function during fish-oil administration in patients with atherosclerosis,” The New England Journal of Medicine, Vol. 314, April 10, 1986, No. 15). worthless in treatment for Alzheimer’s (2010). patients with existing arterial disease (2002). increased risk of aggressive prostate cancer. An early Brian Peskin supporters, Abram Ber, M.D., a renowned homeopathic and preventive medicine doctor summed up his clinical experience with fish oil and PEOs as follows: “Having implemented EFA supplementation for over 25 years, clinical results were mediocre until I began using your [Brian Peskin] protocol. Dr. Rudin’s work with flax oil was important but lacked clinical effectiveness; likewise with Horrobin regarding GLA [Gamma-linolenic acid, a plant-based omega-6 fatty acid] from borage, black currant, and evening primrose oils. Unlike the studies suggested, fish oil, too, was disappointing. 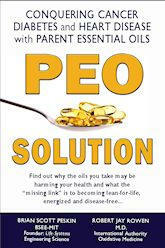 With the Peskin (PEO) Protocol I experienced clinical success. I have seen positive results (dermatological, cardiovascular, pediatric, and neurological) in over 100 of my patients.” Abram Ber, MD. 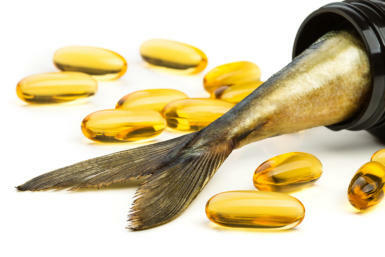 In 2012, fish oil became America’s most widely sold supplement. So, then why does Brian Peskin keep saying that people should “not supplement with fish oil” — that it’s not a healthy practice. Does Brian Peskin have the correct viewpoint on this issue while “everyone else” is wrong? Actually, there are a growing number of scientists who are joining Brian Peskin in saying that, at best, people don’t need to supplement with fish oil, and that at worst, fish oil does more harm than good by accelerating aging. Many populations of healthy people (Hunzas, Ikarians, etc.) rarely eat cold ocean water fish (which are the type of fish that have the greatest amount of DHA and EPA and from which fish oil supplements are derived). It’s certainly not “normal” to eat the amount of DHA and EPa that are in today’s widely consumed fish oil supplements. Finally, consider that a normal daily dosage of 1 to 2 capsules of fish oil, requires 17 to 34 pounds of fish to be killed each day. This page is designed to help you decide to believe the truth about fish oil. Consuming fish oil supplements is not a healthy practice —but you need to understand why not or you will be swayed by authoritarians who tell you that it is. Challenges, And Causes the Death of So Many Fish, Is A Good Thing? The reasons that so many people continue to supplement with fish oil include: • Authoritarian Statements Are Very Difficult to Get Out of the Human Brain — (When one hears seemingly important statements from an authority figure, a strong brain imprint is made and it’s not easy, afterwards to undo the pattern made in the brain.) “You cannot by reasoning correct a man of ill opinion, which by reasoning he never acquired.” — Jonathan Swift • We’ve Been Bamboozled — “One of the saddest lessons of history is this: If we’ve been bamboozled long enough, we tend to reject any evidence of the bamboozle. We’re no longer interested in finding out the truth. The bamboozle has captured us. It is simply too painful to acknowledge—even to ourselves— that we’ve been so credulous.” ― Dr. Carl Sagan • Reasoning is the only antidote — each person needs to personally “reason” upon the science, coming to understand the issue individually rather than accept the authoritative statements of others who have been misled into believing that fish oil is healthy. Unless we choose to reason for ourself, we cannot undo the belief in the “lie”. • The fish oil fallacy — appears to have its root in the scientific fact that derivative Omega 3 (i.e. DHA) is a significant component of brain, heart and nerve tissue. But, that fact does not mean that we need to supplement with DHA, just like cows don’t need to supplement with calcium to have calcium in their milk. Yet, many assume that one is wise to supplement with fish oil since if human tissues have DHA in them, then getting more from supplements must be a good thing (but, it’s not a good thing). Nevertheless, that fish oil fallacy has been repeated so much that the “erroneous correlation” of fish oil to health has turned into a major highway of mistaken belief. Reliable science shows that fish oil either fails to help or worsens these conditions: • Alzheimer’s • Macular Degeneration • Colon cancer • Immune system disorders • Skin cancer • Cardiovascular disease • Blood sugar levels—increasing insulin resistance and blood glucose levels • Incessant hunger—contributing to the obesity epidemic • Athletic performance issues • Platelet movement in patients with existing vascular disease • Abnormal heart rhythm—atrial fibrillation (AF) • Inflammation • Depression • Chemotherapy ineffectiveness If you’d like to read more science, please buy the book The PEO Solution by Brian Peskin. It’s the most important health read today. Is Fish Oil good for anyone? The answer is yes, possibly, but only for these three classes of people: 1. The first group of people who could possibly benefit from fish oil supplements are those people who don’t get enough Parent Essential Oils in their diets. However, there is much better solution — one that avoids all the problems of fish oil overdoses, which is, to supplement with PEOs, instead of fish oil. 2. The second group of people who could (possibly) benefit from fish oil are people who have over-active immune systems, and need to take a “safer drug” than chemotherapy, since fish oil has been shown to “reduce immune activity”. In this case, fish oil functions like a “soft-drug”. Care needs to be taken, however, because one would have the side effect of lowered overall resistance to infection. This is essentially using fish oil like a steroid. 3. Fish oil sellers benefit in the form of profits. Please note, however, though it takes 17 lbs of fish to make one capsule of fish oil. Fish oil sellers may be helping themselves, but they definitely aren’t helping the world by destroying that many fish — and for what - a fish oil fallacy?